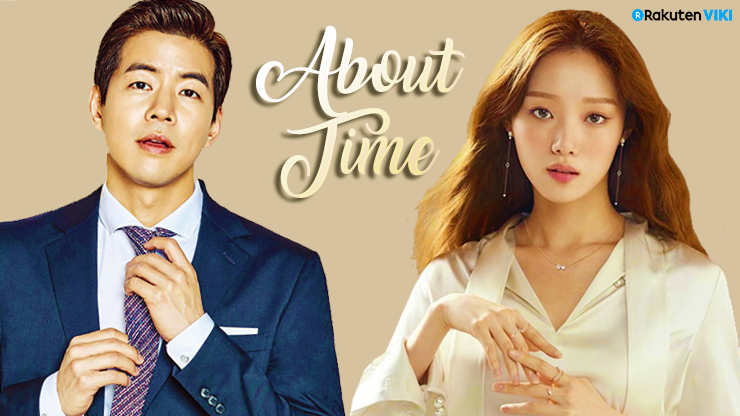 Prepare your Spring Kdrama Binge with "About Time" starring Lee Sung Kyung (Weightlifting Fairy Kim Bok Joo, Cheese in the Trap) and Lee Sang Yoon (Master in the House, Whisper, On the Way to the Airport, Twenty Again, Angel Eyes, Liar Game). [Korean-English subtitlers, all languages subtitlers, moderators, segmenters, chief segmenter]: visit the team's wall to know who you can contact to help us! 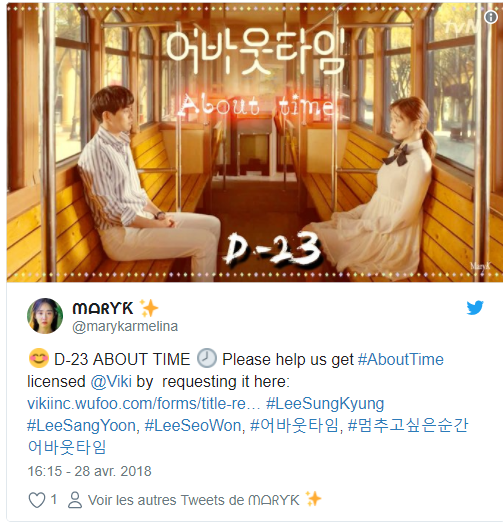 Viki, friends, Facebook, Twitter, forums Multiply chances to get this drama on Viki for May 2018! You can use the message below: just copy paste send it! Thank you everyone who gave us so many different and creative names! You can now vote for the team's name! 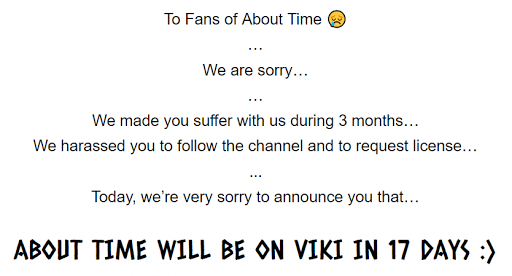 We'll pick the one that will receive the most votes! Thank you to everybody for team's names suggestions and the winner is... The Tick-Tock Team! - We still need 6 more Moderators for languages that still don't have moderators. If you have recommandations, feel free to contact me. - Welcome to the Chief segmentor: Signsofserendipity! Can you see the lifespan clocks of everyone around you and at the same time meet a man who can stop your own â€œtimeâ€� without lifting a finger? 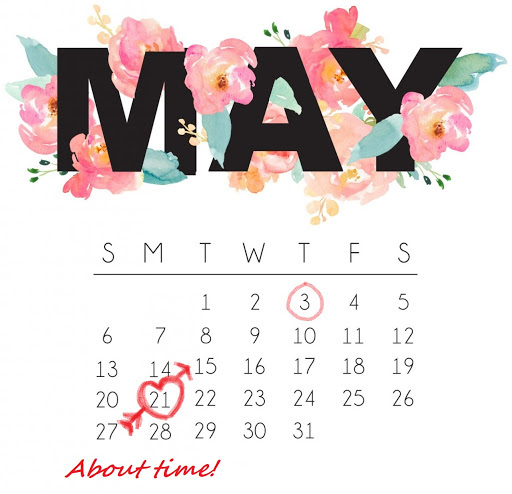 Can time be stopped, extended and even erased?! Synopsis: Choi Michaela (Lee Sung Kyung), a fresh-faced young musical actress who can see the lifespan of anyone who looks into her eyes. She falls in love with Lee Do Ha (Lee Sang Yoon), an ordinary man who, despite having no supernatural powers, is able to stop and change her â€œtimeâ€� through their relationship. Starring Lee Sung Kyung and Lee Sang Yoon. 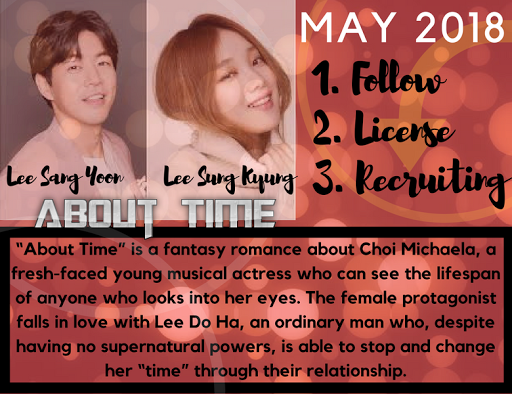 Follow "About Time" to show your support and help us get About Time licensed on VIKI this May! CURRENTLY recruiting: Moderators, Subbers and Translators. As a Subber or translation editor, contact joysprite. As a language moderator, contact piranna. As a translator, contact your respective language moderator. Website we're making for About Time! Different languages sections will be made so a part of foreigners viewers can understand the spamming messages we're sending. Recruiting moderators: Chinese, Czech, Danish, Dutch, Esperanto, Finnish, Greek, Hindi, Hungarian, Korean, Lithuanian, Montenegrin,Thai, Turkish, Ukrainian, and other languages that don't have moderators. Isn't she the most organized Channel Manager you've ever met?!!! I won't talk about segmenting. I hope Signsofserendipity won't be too tired (if episodes will get there). I feel it's more them who are organized and that forces me to follow and be organized too. So without people's help and reminding me things, I'd be totally no good. So I'm sincerely thankful for them being there and I apologize for being clumsy. We all need some craziness in our life, and if you were part of my craziness? On a tous besoin d'un brin de folie dans la vie, et si tu faisais partie de mon brin de folie ? About Timeâ€™s team is currently recruiting subtitlers and moderators. Watch, follow, comment, like, join us! An Ukrainian moderator, we have 1 new Ukrainian subtitler without moderator. And other languages that don't have moderators.